ClipNotes is an iPad app to help you retrieve pre-selected segments of a video and show them together with any notes you might wish to present while the segments are showing. To do this, you must first prepare an XML file which contains the starting and stopping times of the segments you wish to access, together with a caption to appear on a list, and any description you want to display. 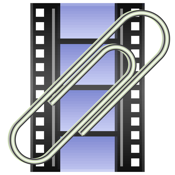 ClipNotes comes preloaded with a short public-domain film and an introductory XML file, so that you can immediately see the usefulness and power of ClipNotes. When you have your own videos and xml files ready, you can copy them to your iPad using iTunes, and then go to Settings on your iPad and type in your own filenames. ClipNotes is designed for any use of film or video where you want to easily retrieve selected segments, along with your notes. The uses may be educational, personal, or any time you want to use video in a convenient and innovative manner.